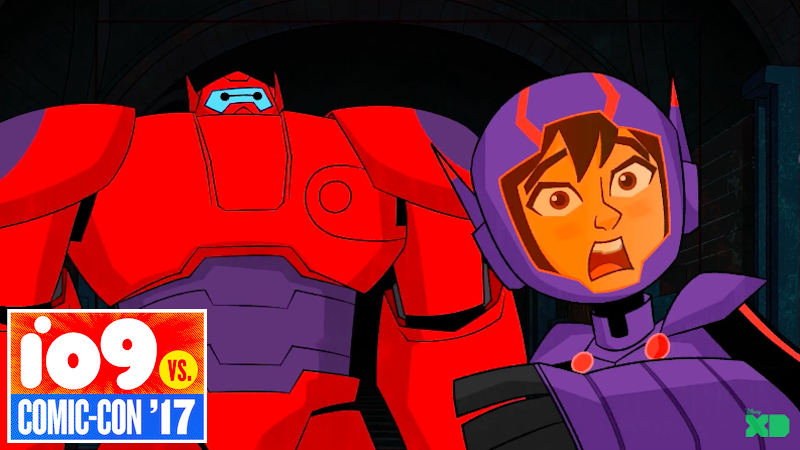 Like any superhero movie worth its salt, Big Hero 6 was never a story about how a bunch of kids and their overprotective robo-friend saved the day using their special abilities, but rather about how the only superpowers a person really needs are friendship and teamwork.From the looks of this new clip from Disney XD’s upcoming Big Hero 6 animated series, the film’s fundamental message is going to be a big part of the show, too. While tracking a new villain in the tunnels beneath the streets of San Fransokyo, Hiro and Baymax stumble across a series of booby traps that would undoubtedly kill them both were it not for Hiro’s brain and Baymax’s body working together to quickly problem solve. Big Hero 6: The Series premieres this fall on Disney XD.